Jewellery designer Imogen Belfield has that rare gift of discovering beauty in all that she sees. Crediting ‘the wild, fun and free lifestyle’ she experienced as a child, she says the jewels from her eponymous brand ‘resemble lost relics, dug from the earth’. Greeting us in a flowing velvet jacket that reaches the floor, she tells us that what she loves most about it, is the time-worn lining and exposed threads that show how the jacket was made. It is clear that creativity runs deep in her veins, this jacket was hand-stitched by her grandfather for a fancy dress party many years ago. Draped in her latest 'rockesque' creations, that won her the prestigious Couture design award last year, she talks to us about her bohemian upbringing, breaking traditions and Elton John. Tell us about your life and what led you to jewellery design? I grew up in a very musical and bohemian household. My father, the avid antique hoarder and historian, my mother the musician, who was in a band with the legendary Herbie Flowers. They would often have 'jam' sessions at home, which meant my brothers and I were immersed in creativity and expression from a young age. We were encouraged to use our imagination, and create as kids; whether it was building 'Robinson Crusoe' inspired huts in the trees, or dams in the ditches that surrounded our house. From this grew my affiliation with art and sculpture, and creating with my hands. A year spent studying in Falmouth at 18, matched with my first dalliance into silversmithing and metal work with Pruden & Smith, cemented my destiny in the world of design. You have a really distinctive style - how would you describe the jewellery you create and what inspires your work? Matte textured surfaces with highly polished edges are set with glistening gemstones. Like miniature sculptures to adorn the body, the jewellery I create is abstract and unconventional. For example a 'ring', or as we call them 'finger gloves' may coil and curve in and round two or three fingers, not encasing a single digit as tradition has taught. Tell us about the latest collection. The 'Amazonian' Collection allows the imagination to run free. Ice white porcelain and an array of coloured diamonds and gemstones are set into 18 karat gold or black ruthenium. The collection features precious hand-cut stone beads, which are strung onto chokers, colliers, long multi-wrap necklaces or bracelets. The central shape in the collection is a spear-head; fluid and fossil-like in formation. It symbolises strength and the contrast with the precious materials creates a powerful fusion of brutality and beauty. 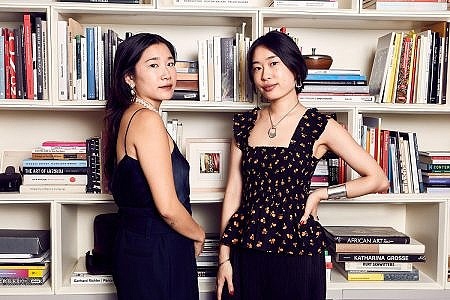 Expression, luxury, symbolism and to go rogue with the rule book when it comes to design. 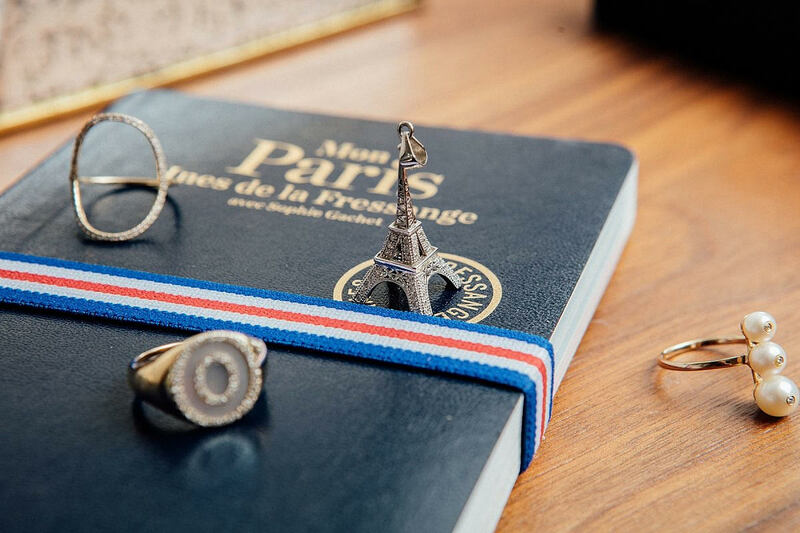 How do you style your own jewellery? I have my daily staples, such as the 'Diamond Rectangle' stackers worn as pinky or midi rings and the 'Rock Nugget' charm necklaces. Recently I've been layering the 'Kyme' Necklace with the 'Organic Spear Pendant' which I wear on a black chord. My ears are decorated with multiple piercings, which means I can mix up the Drop Dagger Earrings and Little Spear Hoop Earrings. Dressing in jewels should always be playful. Who is the IB customer? Any exciting people wearing your jewellery? Somebody who likes to deviate from convention and allows IB jewels to ignite and exude that sparkle in their soul. We have some amazing stars wearing our collection, just recently Game of Thrones actress Charlotte Hope wore our 'Vagabond' golden glove, which looked 'knock out' on her. Nicole Scherzinger, Kim Kardashian, Uma Thurman, Madonna, Beyoncé and Cameron Diaz have all worn IB. 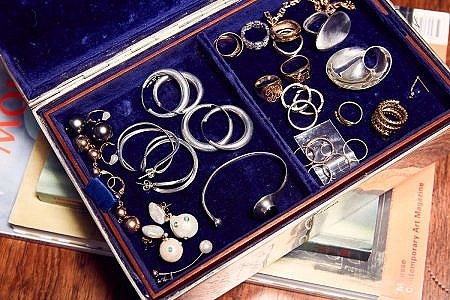 If you could swap jewellery boxes with anyone - who would it be and why? In a dream it would be Cleopatra! In reality I would love to swap with Elton John, because he's a rock star!